“2020 Tokyo Gorin – Saiaku no Shinario,” (Tokyo 2020 Worst Case Scenario), by Robert Whiting, Yuukan Fuji, March 5, 2019 – The text inside the blue box is where I am quoted. What could go wrong at the 2020 Tokyo Olympics? I was asked that question by best-selling author, Bob Whiting, for a weekly column he writes for the Japanese newspaper, Yūkan Fuji. My answer to him? And we don’t have to go too far back in time for a prime example. The Brazilian economy had tanked. Police and firemen protested at the airports they were not getting paid, warning people to stay away. There was even significant speculation that the organizers would cut air conditioning in the Olympic Village to save costs. The largest scandal in Brazilian history filled the headlines in 2016, one that involved state-run oil company, Petrobras, in which officials received kickbacks in return for selection of specific suppliers, kickbacks that totaled some USD3 to 5 billion. The threat of catching the Zika Virus, a mosquito-borne threat to pregnant women and newborns, kept tourists and Olympians away from the Rio Olympics. The site of the triathlon and sailing competition, Guanabara Bay, was so contaminated with human waste that it threatened the health of athletes who would compete in those waters. It’s impossible for Olympic officials to control the media’s thirst for issues and scandal, but the circumstances of Brazil at the time made it easy for the press to generate negative storylines. Will that be the case in Tokyo, when the Olympics come to town in July and August of 2020? What are the headlines that could shake Olympic officials or encourage the naysayers? North Korea Boycotts the Olympics: The Korean teams marched together at the PyeongChang Winter Olympics in 2018, and even brought together North and South Koreans on the women’s ice hockey team. But if pressure mounts due to lack of progress in US-North Korea talks to denuclearize North Korea, who knows whether the Olympics will become an opportunity to raise the rhetoric and make North Korea’s participation a bargaining chip? Is there precedent? Yes. The North Koreans abruptly boycotted the 1964 Tokyo Olympics the day before the opening ceremony. Magnitude 8.0 Earthquake Hits Tokyo – Olympics Disrupted: The timing of an earthquake just prior or during the Olympics are highly unlikely. And yet, the fear of the big one in Tokyo is in the back of the minds of many in Japan since there hasn’t been one since the Great Kanto Earthquake of 1923. Last year provided multiple reminders of Japan’s vulnerability to mother nature. In an annual vote of the kanji character that bests represent the year of 2018, the symbol for “disaster” was selected. After all, in 2018, 200 people were killed in flood waters across 23 prefectures, dozens perished in a 6.6 magnitude earthquake in Hokkaido, and there were at least 11 fatalities when Typhoon Jebi swept through the Kansai region. Is there precedent? Yes. The 1989 World Series, when a magnitude 6.9 earthquake struck San Francisco just prior to the start of Game 3 match between two Bay City teams, the Oakland Athletics and the San Francisco Giants. Officials Deny Bribery Allegations in Black Tidings Affair: A dark cloud in the distance appears to be approaching. The former president of the International Association of Athletics Federation (IAAF), and longtime IOC member, Lamine Diack, has been held by authorities in France since November, 2015. One of the allegations under investigation is whether Diack and his son Papa Massata Diack, were responsible for payments of USD2 million made from officials in Japan to Papa Diack through a company in Singapore called Black Tidings. It is alleged that these payments, made in July 2013, were connected to bribes that would “help the Japanese capital secure the hosting rights for the Olympic and Paralympic Games,” according to the French newspaper, Le monde. The current president of the Japan Olympic Committee, and member of the IOC, Tsunekazu Takeda, is under investigation for corruption, and may end up retiring from the Japan Olympic Committee in June or July. Is there a precedent? Yes. A year after the end of the 2016 Rio Olympics, the head of the Rio de Janeiro Organizing Committee and member of the Brazilian men’s volleyball team at the 1964 Tokyo Olympics, Carlos Nuzman, was arrested for soliciting votes ahead of the 2009 IOC session to select the host city for the 2016 Summer Olympics. Make no mistake – prior to the 2020 Tokyo Olympics, there will be a lot of noise, much of it negative. That’s just the reality of hosting a high budget big tent event like the Olympics. But also, make no mistake – in the end, it is always about the athletes – their stories of struggle, fair play, excellence and achievement – that drive the headlines during the Games. Those are the headlines that will inspire millions of young Japanese, and provide the motivation that propels a select few to future Olympiads. By the way, the last two paragraphs are what Bob quoted me on at the end of his column – after all, you can’t end a story like this with such black tidings. The 2020 Tokyo Olympics will be great, and you won’t want to miss it! Tokyo 2020 – 500 Days to Go! What Was Happening When it Was 500 Days to Go to the 1964 Tokyo Olympics? It’s now 500 days to July 24, 2020, and the Opening Ceremonies of the 2020 Tokyo Olympics! The National Stadium is taking shape. Volunteers have raised their hands. Tickets are close to going on sale. In only 16 more months, the world will come to Japan for the XXXII Olympiad. Which made me wonder. What was it like on May 29, 1963 – when it was 500 days to go for the 1964 Tokyo Olympics? I took a look at The Japan Times for a week from May 23 to 31 to see what was top of mind in the press with 500 days to go. First thing I noticed – no big deal was made that there were 500 days to go. But I also noticed that in addition to the significant progress on Olympic-related infrastructure, geo-political issues that were brewing in May, 1963, would come to a head 500 days later. Indonesia’s Participation Under Threat: The IOC was scheduled to expel the National Organizing Committee of Indonesia, which would mean that Indonesian athletes would not be allowed to participate at the Tokyo Olympics. President Sukarno arrived in Tokyo unofficially before taking off for his planned trip to Europe, with hopes of improving the tone of Olympic discussions. This was part of an ongoing dispute over the politicization of sports, and it did not end well for Indonesia. As you can read here, the Indonesians could not get what they wanted, and boycotted the Games. JFK Thanks Hayato Ikeda for Congratulating JFK: Prime Minister Hayato Ikeda received a cable of thanks from US President John F. Kennedy, for the prime minister’s message of congratulations on the successful orbiting of an American spaceship, Faith 7, which circled the earth 22 times in mid May, piloted by a single astronaut. During the Tokyo Olympics, the Soviet Union would surprisingly top that by sending the world’s first spaceship with a crew of three – the Voskhod – during the Olympic Games. USSR, USA and Cuba: Soviet leader Nikita Khrushchev threatened that things could get worse than the Cuban Missile crisis of the year before if the United States did not cease in interfering in Cuban affairs. Little did Khruschev know that he would be ousted from power a bit over 500 days later. Nuclear Tests: The Japanese government decided in May of 1963 to cease its protests against American underground testing of nuclear explosives, after one such test took place in mid May in Nevada. The Japanese government finally realized that simply protesting the US government to change its behavior was not working. They didn’t realize that about 508 days later they would have to protest China’s decision to test its first atomic bomb, which they did on October 16, 1964, six days into the Tokyo Games. The Lingering Impact of 3.11: Is Olympic Softball in Fukushima a Symbol of Hope or a Distraction? The 2020 Tokyo Olympics begin on July 24 next year. But the first sporting event will take place two days earlier, in Fukushima, when preliminary matches of women’s softball begin at Fukushima Azuma Baseball Stadium. Azuma Stadium is about 90 kilometers from Fukushima Daiichi Nuclear Power Plant, the site of Japan’s gravest nuclear disaster since World War II. It was 8 years ago today when a 9.1 magnitude earthquake rattled the Pacific coast side of northern Japan (Tohoku), triggering enormous waves of water inland, both resulting in approximately 16,000 deaths, and leading to nuclear meltdowns in the Fukushima reactors as the tsunami overwhelmed the power plants. The nuclear fallout turned communities around Daiichi into ghost towns, and the prefecture into a national pariah. The decision by the organizers to bring sporting events to Tohoku during the Olympics was made with the intent to drive investment back to the area, and build a sense of hope to the region. Baseball infielder, Akinori Iwamura, who played many years for the Yakult Swallows as well as the Tampa Bay Devil Rays, was a member of the Tohoku Rakuten Golden Eagles when the earthquake and tsunami hit, continuing to play for a minor league squad called the Fukushima Hopes through 2016. His hope too was that the region would be revitalized, and Iwamura was a vocal cheerleader, according to this New York Times article. 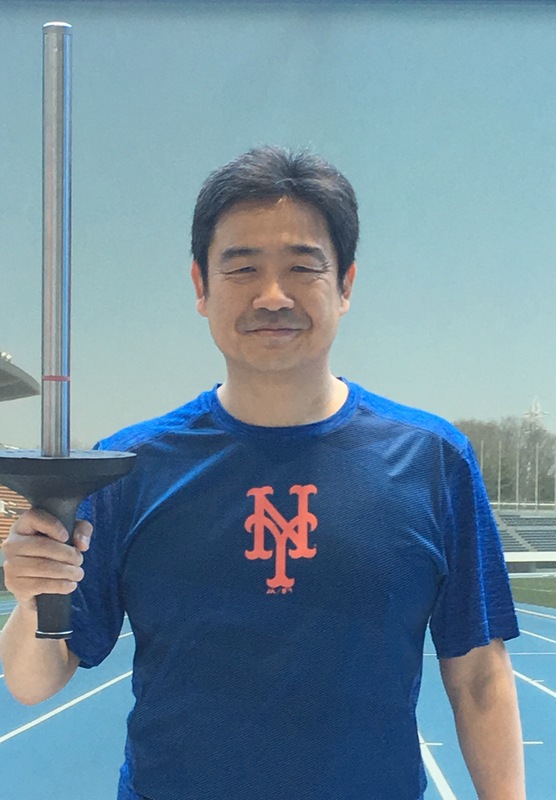 Iwamura believed that hosting softball games during the Olympics at Azuma Stadium, where his Fukushima Hopes play, would build the area’s image and attract tourism. “When they go back to their country, they can tell their impression to the local people of their countries so it will bring more people to come for tourism,” he said. However, there are those who not only consider such thoughts wishful thinking, they consider it a cover up, as this article from The Independent points out. Immediately after the announcement in March that Fukushima would host baseball, anti-nuclear activists denounced the move. They argued that it created a false impression that Fukushima had returned to normal and glossed over the remaining hardships faced by an estimated 120,000 residents who still cannot – and may never – return to their homes. Kazuko Nihei has two daughters, and she fled her home in Fukushima City in 2011, and has sworn never to return. The government has provide financial assistance to people evacuated from the terribly affected areas, particularly those in the area where nuclear radiation fears are greatest. The government ended that assistance for people like Nihei, and so she struggles to make ends meet, according to Channel News Asia. Why won’t she return with her family to Fukushima? The Japanese government has worked hard to decontaminate the area so that families can return. But the fears of radiation in the environment remain. …the programme has not swayed everyone, with a poll conducted in February by the Asahi Shimbun daily and Fukushima local broadcaster KFB finding that 60 per cent of Fukushima region residents still felt anxious about radiation. Nihei worries about “various health risks for children, not only thyroid (cancer) but others including damage to their genes. If there was a comprehensive annual health check, I might consider it, but what they are offering now is not enough, it only concentrates on thyroid cancer,” she told AFP. Then there is the contaminated water used as a coolant in the nuclear reactors – a million tons of water that contain radioactive elements. Processing the contaminated water, as well as the ongoing dismantling of the nuclear plants, are long, difficult and costly tasks – the New York Times states it would take 40 years and cost nearly USD200 billion. Additionally, there is a risk to keeping the radioactive water in the thousand or so water tanks on land, near the power plants – the number will rise and the space to store the water is limited. And the tanks could crack, particularly if another major earthquake hits Tohoku. The Japanese government hopes to purify that water to the point where the water can be disposed of in the Pacific Ocean. But, as one can imagine, that idea doesn’t sit well with people who live there, particularly those in the fishing industry. “That would destroy what we’ve been building over the past eight years,” said Tetsu Nozaki, head of the Fukushima Prefectural Federation of Fisheries Co-operative Associations. Last year’s catch was just 15 percent of pre-crisis levels, partly because of consumer reluctance to eat fish caught off Fukushima. The Olympics will come and go. But the disturbing legacy of 3.11 in Fukushima will linger on.